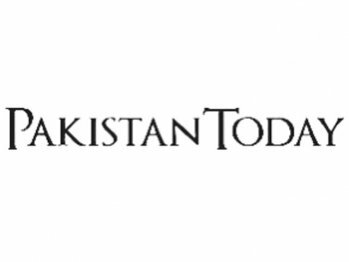 Mismanagement of the Health Department and top hospital officials have not only put the fate of 60 postgraduate trainee medical officers (MOs) on line, but has left health establishments in districts without adequate doctors as well, Pakistan Today has learnt. These trainees were appointed on a regular basis by the Punjab Public Service Commission (PPSC), which conducted regular appointments after a lapse of nearly 15 years in July 2010. A total of 1,250 MOs were recruited and nearly 900 of them were postgraduate trainees. However, the Health Department maintained that since seats were not available in teaching hospitals in Lahore, the newly appointed doctors were accommodated in nearby districts in DHQs, BHUs and THQs for pay purpose only; the doctors were allowed to complete their training in the teaching hospitals in Lahore but were given pays against posts in nearby district health establishments. Recently, the government stopped the salaries of nearly 60 postgraduate trainees completing work in Jinnah Hospital, but getting salaries against posts in DHQ Sheikhupura, causing a lot of resentment among the medical professionals on the one hand and laying bare the inefficiency of the Health Department on the other. SALARIES STOPPED: Talking to Pakistan Today, Dr Irfan Malik, a postgraduate trainee in Jinnah Hospital said, the Sheikhupura DCO stopped the salaries of the MOs, appointed in DHQ Sheikhupura for pay purpose and completing training in Jinnah hospital. “As per routine the computerised pay order is generated on 25th of every month, but the salaries of all of them were stopped by the Sheikhupura DCO in January. This is so frustrating that medical professionals have to run from pillar to post to get their salaries like daily wage labourers. Many people are trying to go abroad, especially Saudi Arabia, which is currently hiring doctors from Pakistan. They are also offering lucrative pay packages. Before December, doctors had to get their signed pay slips submitted at the DHQ Sheikhupura and then collect their pay checks after some weeks, however after December, we were given the computerised pay slip and our salary was automatically transferred into our accounts. But this mechanism only worked for one month and now we are not getting the salaries. We are completing FCPS and we have to protest like labourers to get our salaries. We have been informed that we will receive only one month salary and the next salary is conditional to the availability of budget,” he said. SALARY DEPENDENT ON FUNDS: However, a district official in Sheikhupura, seeking anonymity said, the last DCO, who froze the salaries before being transferred in January, had informed the health secretary about the situation and sought ‘additional funds’ for the district government, but in vain. Recently, the health secretary has assured the incumbent DCO of the availability of funds and hence only one month salary will be released soon. “The salaries of coming months are conditional on the availability of funds,” he added.